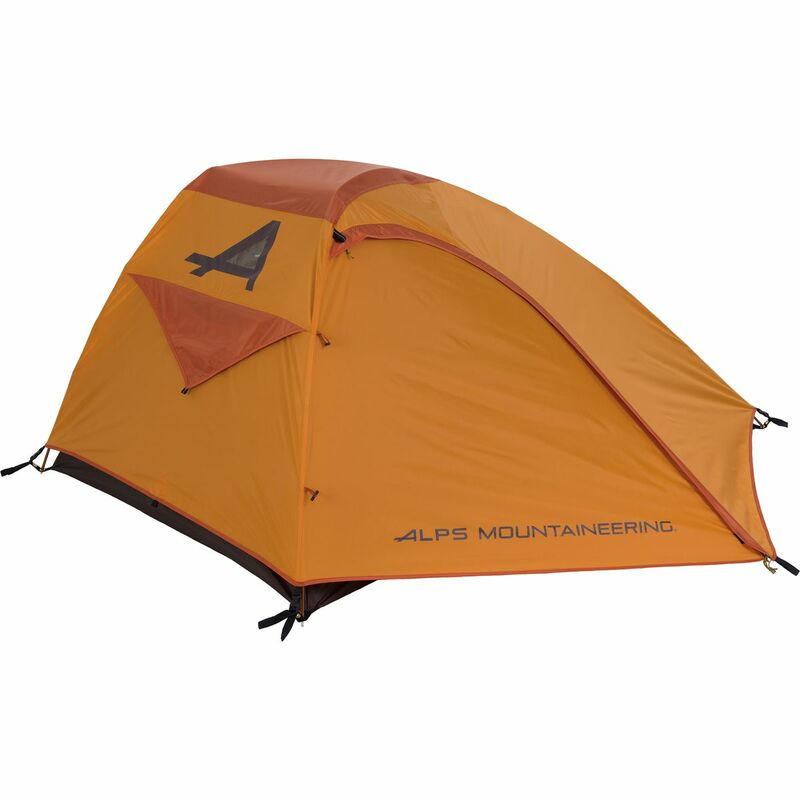 The Alps Mountaineering Zephyr 1 Tent is lightweight for backpacking and comfortable for car camping from fall to spring. Alps Mountaineering built the walls out of no-see-um mesh for maximum ventilation and airflow, and the floor and fly out of a PU-coated polyester taffeta for abrasion- and water-resistance. One door and one vestibule give you plenty of space, and aluminum poles ensure a lot of head space as well as a quick and simple setup. 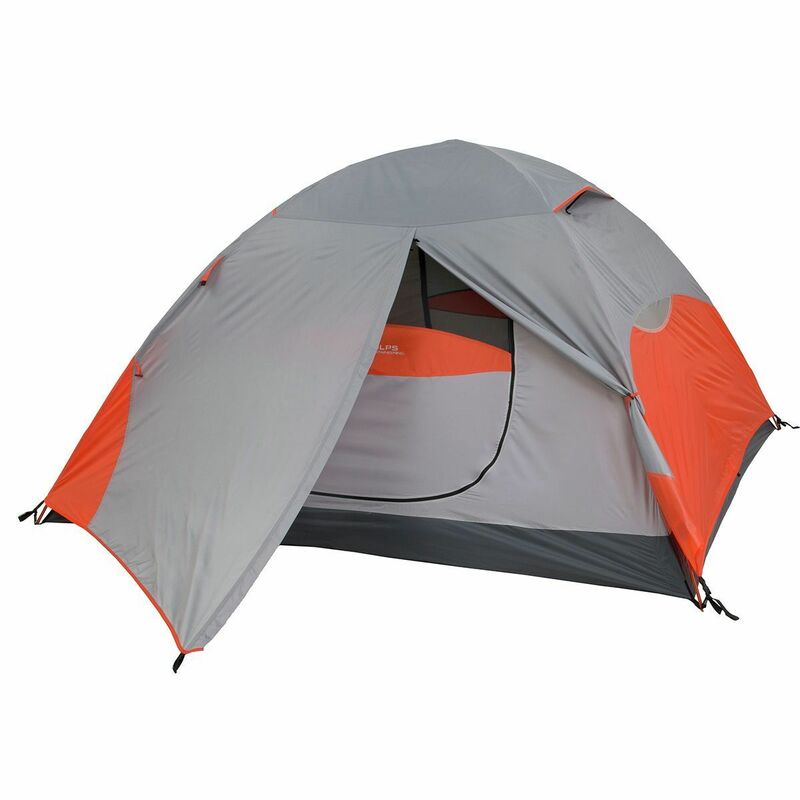 There are mesh storage pockets inside the tent for smaller items like your keys and headlamps. Alps Mountaineering also added stakes, guy lines, and repair swatches for your convenience. 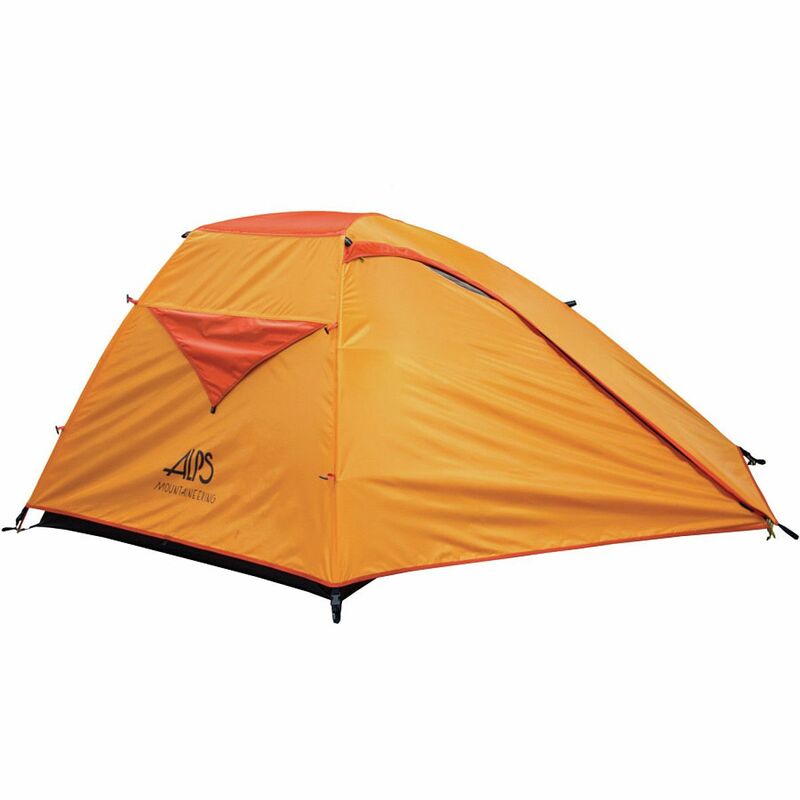 The lightweight Alps Mountaineering Ibex 2 Tent keeps you light on your feet so you can backpack from spring to fall comfortably. Alps Mountaineering built the walls out of no-see-um mesh for maximum ventilation and airflow, and the floor and fly out of PU-coated polyester taffeta for abrasion- and water-resistance. Two doors and two vestibules give you and your backpacking buddy plenty of personal space, and aluminum poles ensure a quick and simple setup. There are mesh storage pockets inside the tent for smaller items like your keys and headlamps. Alps Mountaineering also added stakes, guy lines, and repair swatches for your convenience. 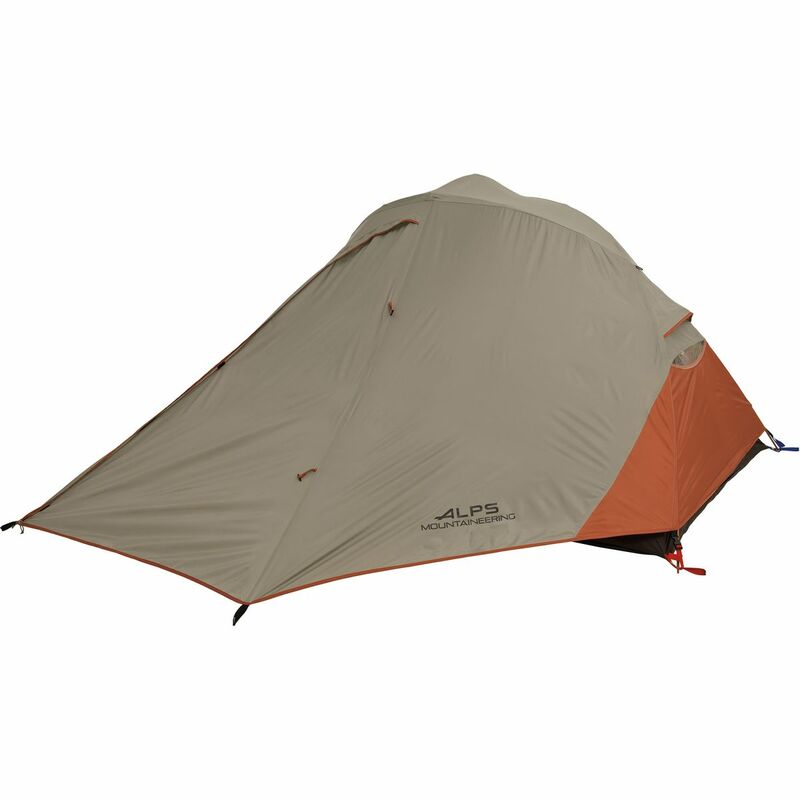 Three-man backpacking trips get a lot lighter when you hike up with the superlight Alps Mountaineering Ibex 3 Tent in your pack. Alps Mountaineering built the walls out of no-see-um mesh for maximum ventilation and airflow, and the floor and fly out of PU-coated polyester taffeta for abrasion- and water-resistance. Two doors and two vestibules give you and your backpacking buddies plenty of personal space, and aluminum poles ensure a lot of head space as well as a quick and simple setup. 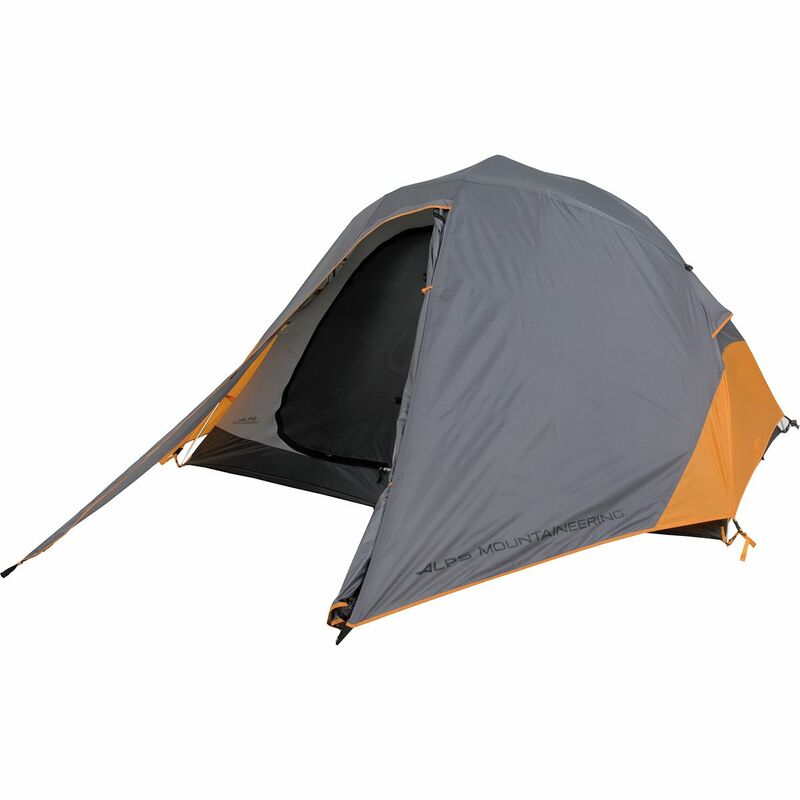 There are mesh storage pockets inside the tent for smaller items like your keys and headlamps. Alps Mountaineering also added stakes, guy lines, and repair swatches for your convenience. 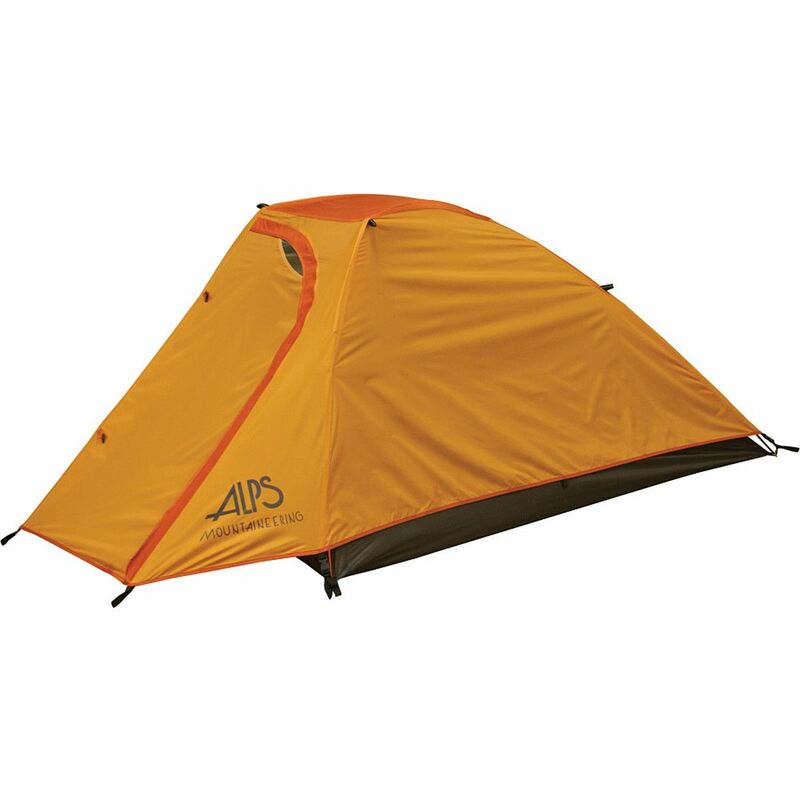 The Alps Mountaineering Tasmanian 3 Tent provides 4-season protection so you and your buddies can explore the world year-round. The taffeta fly and floor have PU coatings for weather-resistance, and the walls have no-see-um mesh windows to bring in the breezes on warm summer evenings. 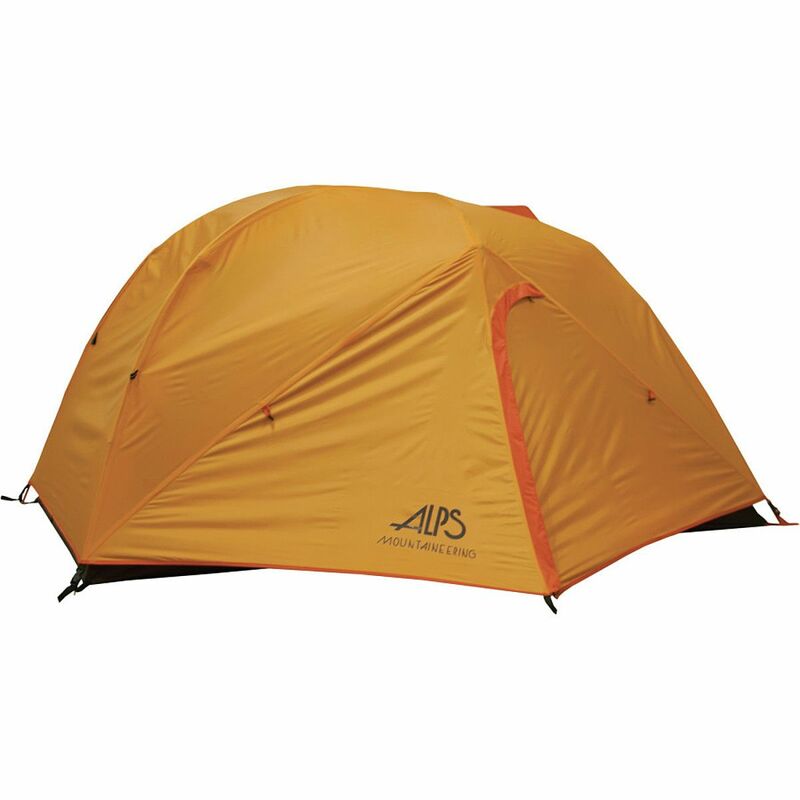 Alps Mountaineering connected each aluminum pole with a weatherproof shock cord in order to help the tent stand strong against windy weather. The Tasmanian provides plenty of space for you and your fellow campers, with nearly four feet of head space, two doors, mesh storage pockets for keys and headlamps, and two large vestibules for all your gear. Alps Mountaineering also included a gear loft, aluminum stakes, guy lines, and repair swatches for your convenience. Sometimes it's hard to decide whether you want to bring along your significant other or your favorite gear. 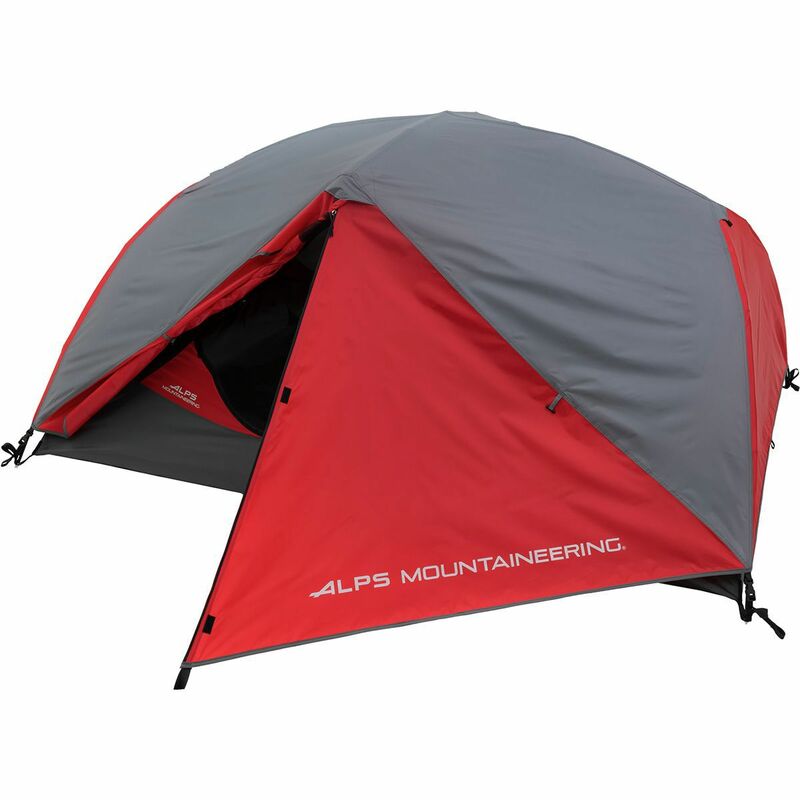 Thanks to its generously sized vestibules and plenty of floor space, the ALPS Mountaineering Chaos 2 Tent may just save your relationship. 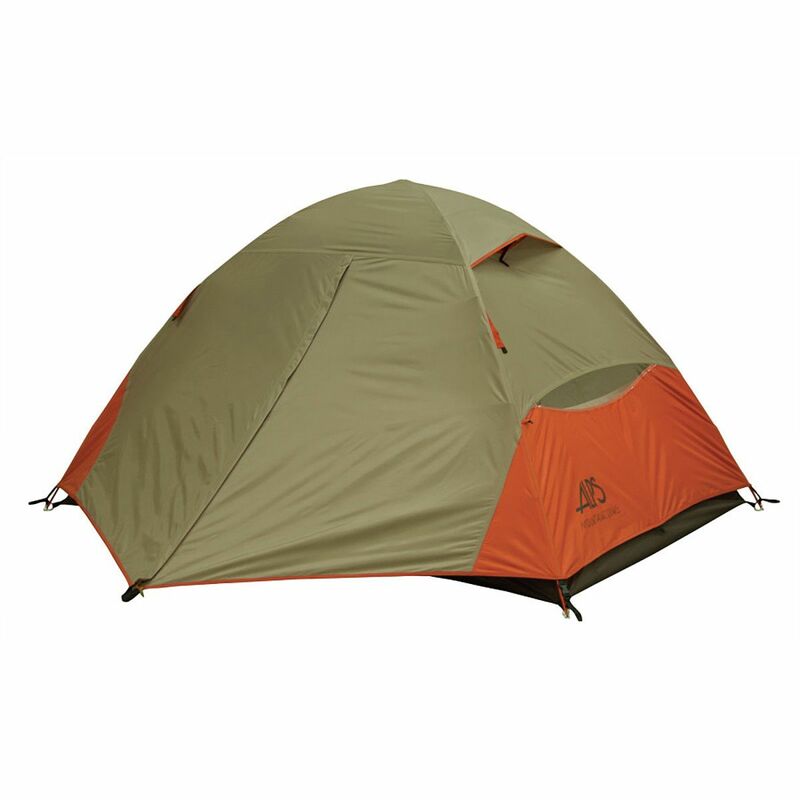 Backpackers, keep your fellow trekkers and gear organized and comfortable during multi-day adventures with the ALPS Mountaineering Westgate 3 Tent. Feel the summer breeze in your hair and never miss a glimpse of pristine scenery in the ALPS Mountaineering Greycliff 2 Tent. With primarily mesh walls and roof, you won't miss a thing and you'll optimize your every moment in the outdoors. The durable, strong, yet lightweight fly and floor will come to your rescue when the storm hits. Two doors and vestibules keep this two-person, three-season shelter traffic-free and roomy, so you can have a view and room to enjoy it. 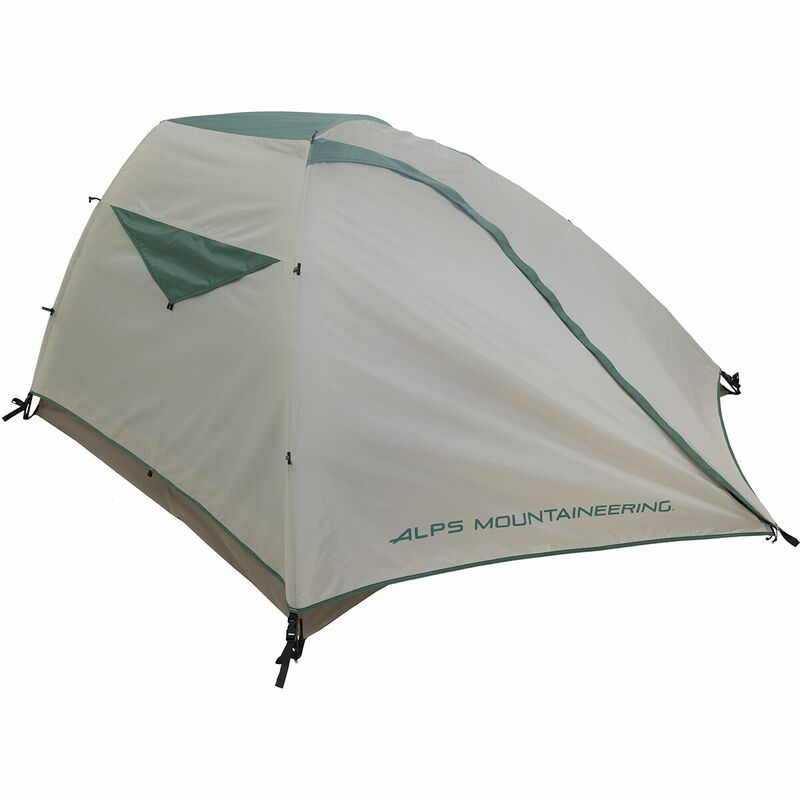 Share the experience of sleeping under the stars with your two best buddies in the protective and accommodating ALPS Mountaineering Greycliff 3 Tent. The mostly mesh upper construction gives you an unhindered view of your unspoiled surroundings and plenty of comfortable ventilation, and the durable, strong, light, factory-sealed UV-resistant fly and waterproof floor offer plenty of protection against the surprise storm. Pitch it or break it down in a flash with easy-to-use clips, so your trio can get the party started. Go forth into the wild with three of your buddies and the protective comfort of the ALPS Mountaineering Morada 4 Tent. Shield yourself from the wind, rain, cold, and hungry wildlife in this lightweight, factory-sealed backcountry home. Your camping fun won't have to wait long while you clip this freestanding tent together with sturdy 7000-series aluminum poles, one of which increases the height of your backcountry home with a short cross-over. Two doors and vestibules give your backpacking party plenty of breathing and storage space, so you don't smother each other on extended trips. And the mesh roof vents let you gaze at the stars together as the sounds of nature lull you to sleep. 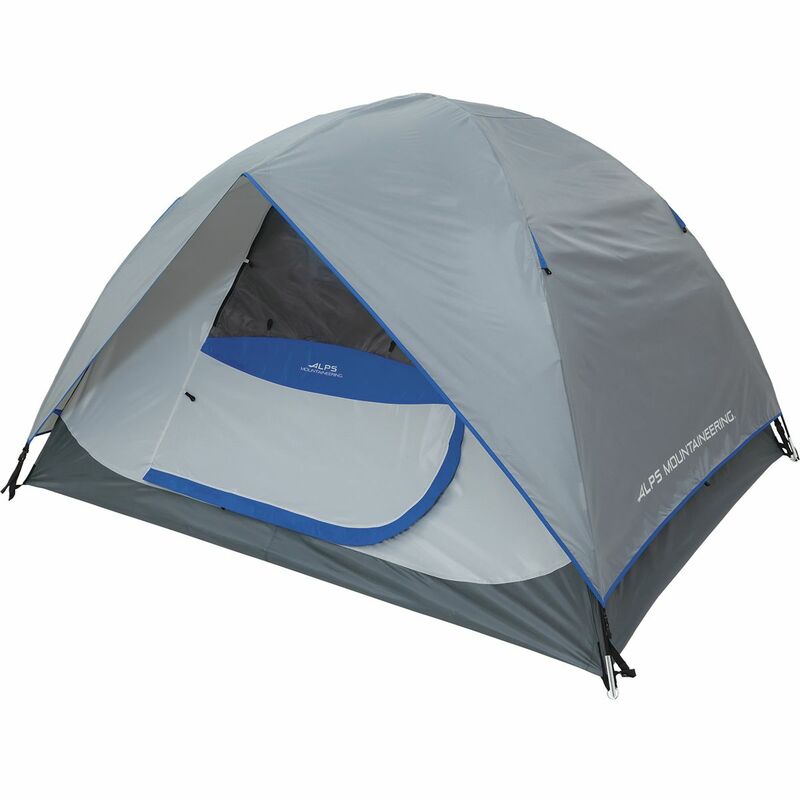 When you're ready to escape the hustle and bustle of life in the city, all you need do is grab the Phenom 1-Person 3-Season Tent and get outside. This solo shelter is an affordable way to go camping alone--or alone with your favorite furry friend--and settle down for the night in your own personal paradise. 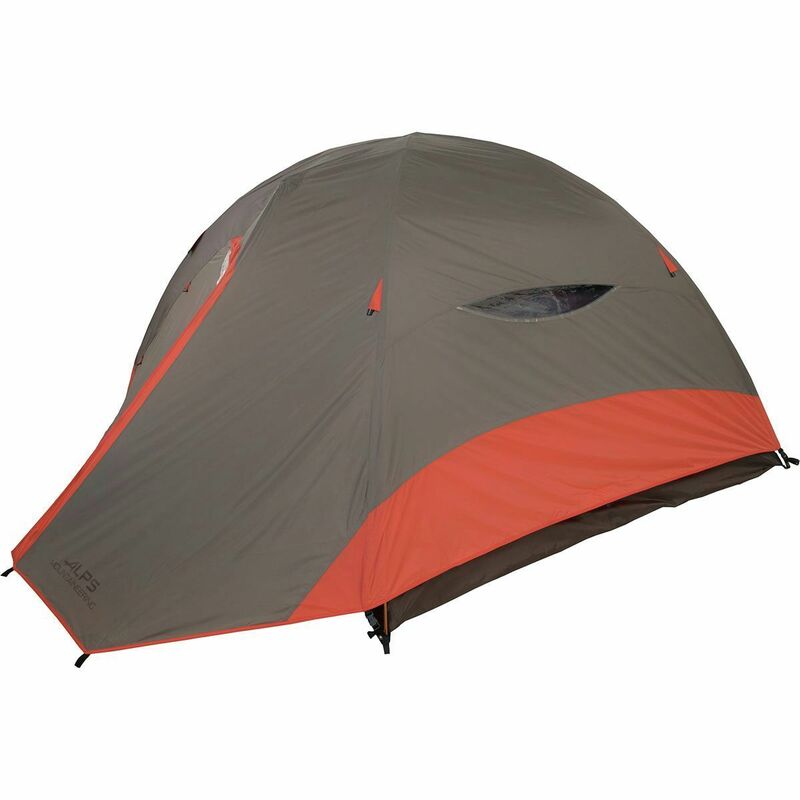 It features a durable construction that's easy to set up, with a full-coverage fly to keep you dry in a downpour, and it's double-wall design means you can strip away the fly on a clear night and enjoy refreshing ventilation and a view of the stars. 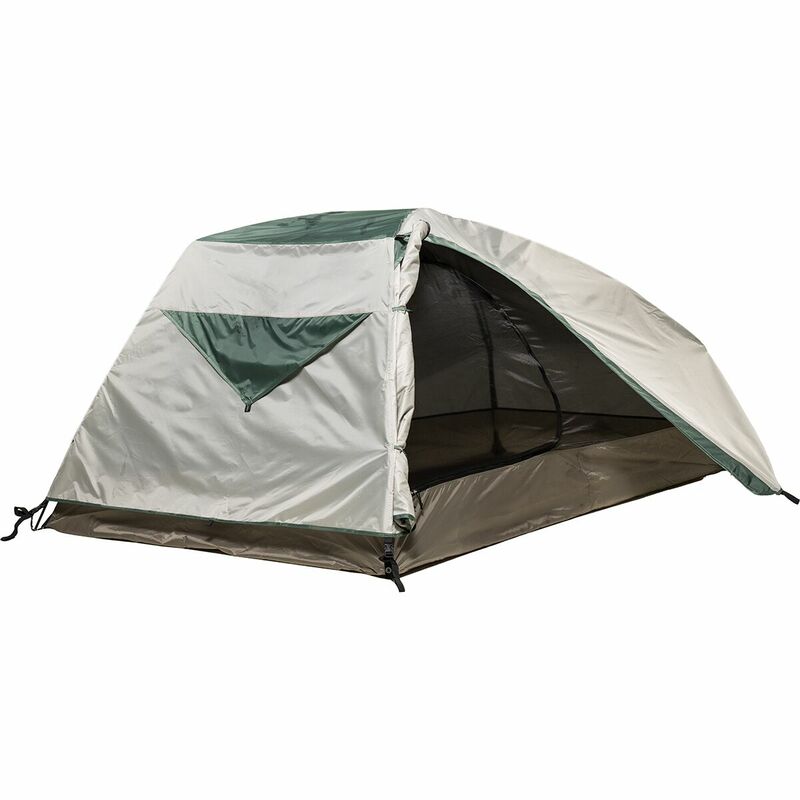 The Phenom 1 includes a vestibule for your gear, freeing up more room in the tent for restful nights, as well as a gear loft and mesh storage pocket for keeping essentials like headlamp, toilet paper, or a midnight snack. 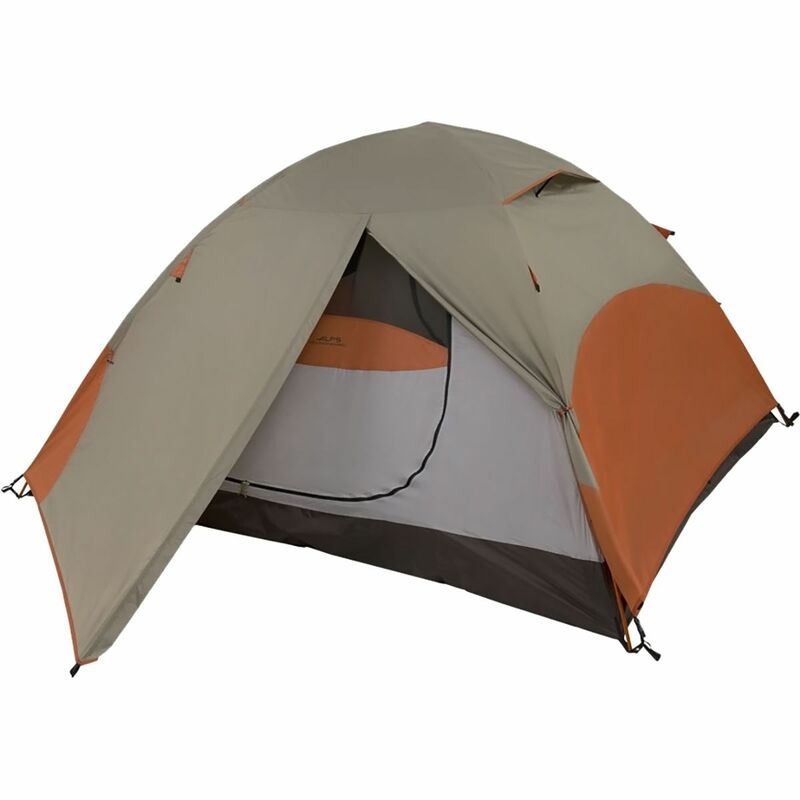 The new for 2019 ALPS Mountaineering Koda 3 Tent: 3-Person 3-Season is inspired by ALPS's best-selling Taurus tent to provide you with a fully featured, high quality tent for backpacking or weekend camping trips with friends or family. What sets the Koda apart from the Taurus is its half mesh walls that ensure you and your two tent mates keep comfortable through muggy summer nights while the full-coverage fly keeps everyone protected from late spring rain showers. 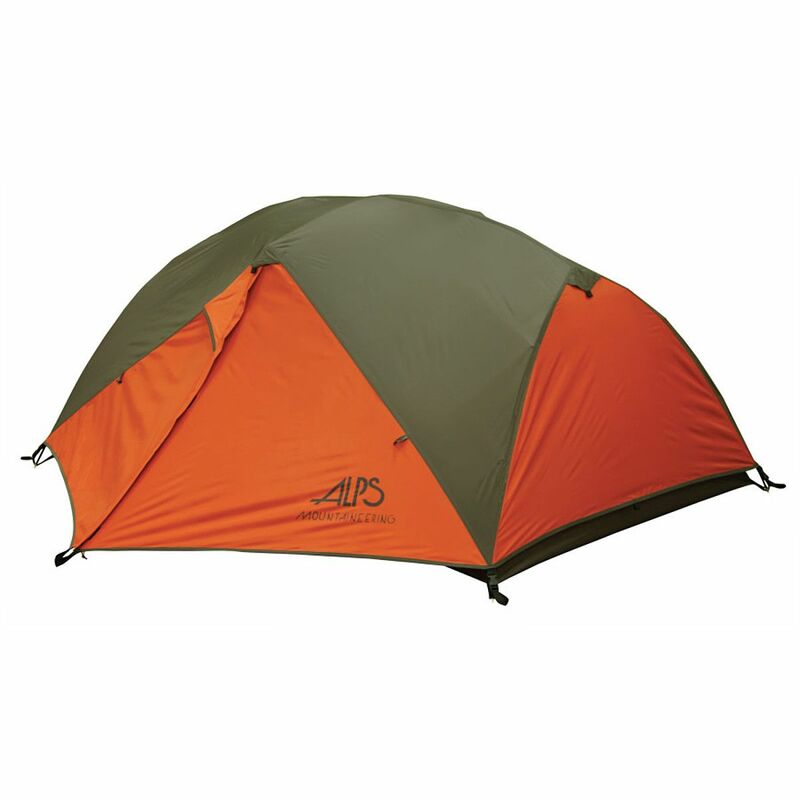 To further enhance weather protection, ALPS coated and factory seam sealed the fly and floor and added waterproof fly buckles to help keep you, your friends, and your gear dry. The lightweight poles, quick assembly, and roomy vestibules make the tent an easy choice when you arrive at the campsite after the sun sets. When you're sharing a tent with two other people, you need all the ventilation you can get. 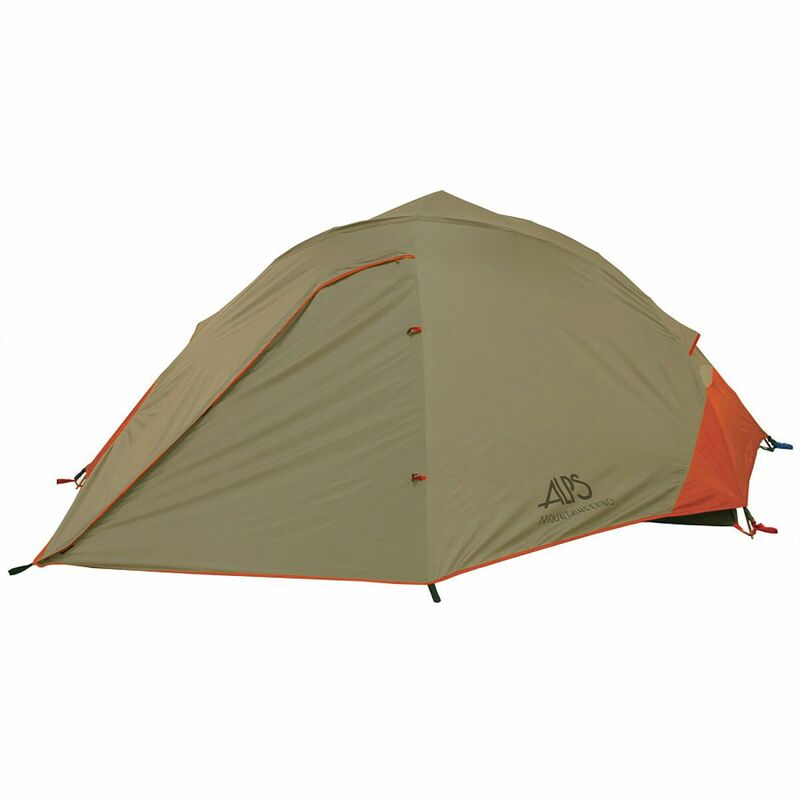 The Alps Mountaineering Koda 2-Person 3-Season Tent features four half-mesh walls for excellent breathability and seam-sealed fly and floor construction for three-season camping protection. When you're sharing a tent with three other people, you need all the ventilation you can get. 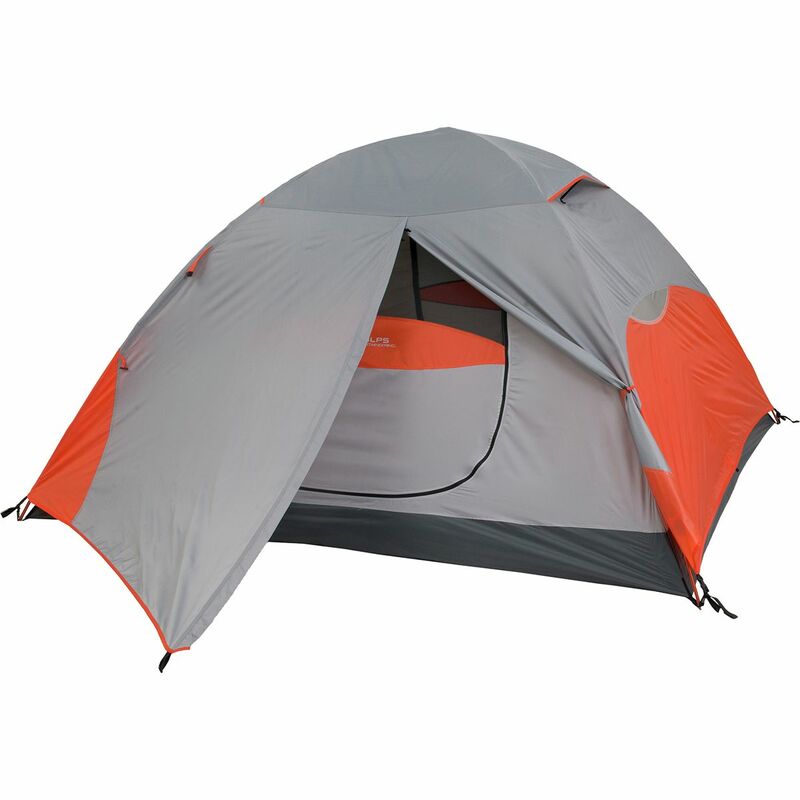 The Alps Mountaineering Koda 4-Person Tent features four half-mesh walls for excellent breathability and seam-sealed fly and floor construction for three-season camping protection. 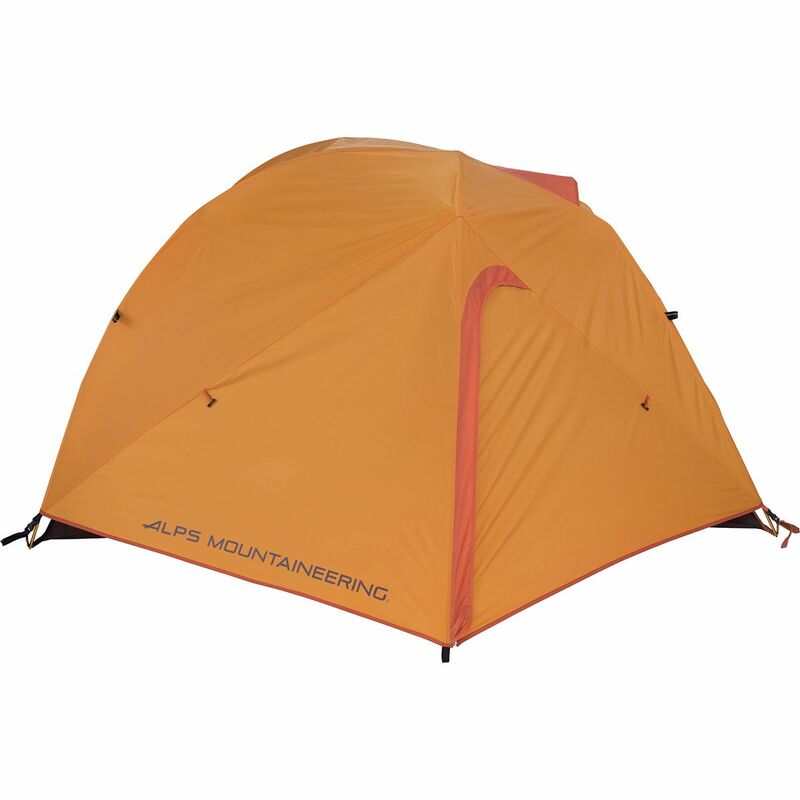 With everything you need and nothing you don't, the ALPS Mountaineering Targhee 3-Person 3-Season Tent delivers a durable design that makes the most of its space on weekend getaways, all without emptying your wallet. The floor is crafted from 85D 185T poly taffeta with a 1500mm coating to withstand tough abuse at the site and keep precipitation at bay, and the 75D 185T polyester fly resists UV damage on sunny days, stays taut when the wind starts blowing, and deflects rain to keep your slumber dry and cozy. And both the fly and floor are factory-sealed for even more weather protection. Two doors make for an uncluttered, flowing design that adds both ventilation and entrance and exit options, and the attached zippered windows further boost breathability by letting the cool breeze in on hot days--but not pesky insects. Shock-corded fiberglass poles snap into place easily to provide you with a durable, sturdy support system, and the mesh storage pockets and integrated gear loft help you make the most of your space by storing your flashlight, lighter, maps, and layers close by. 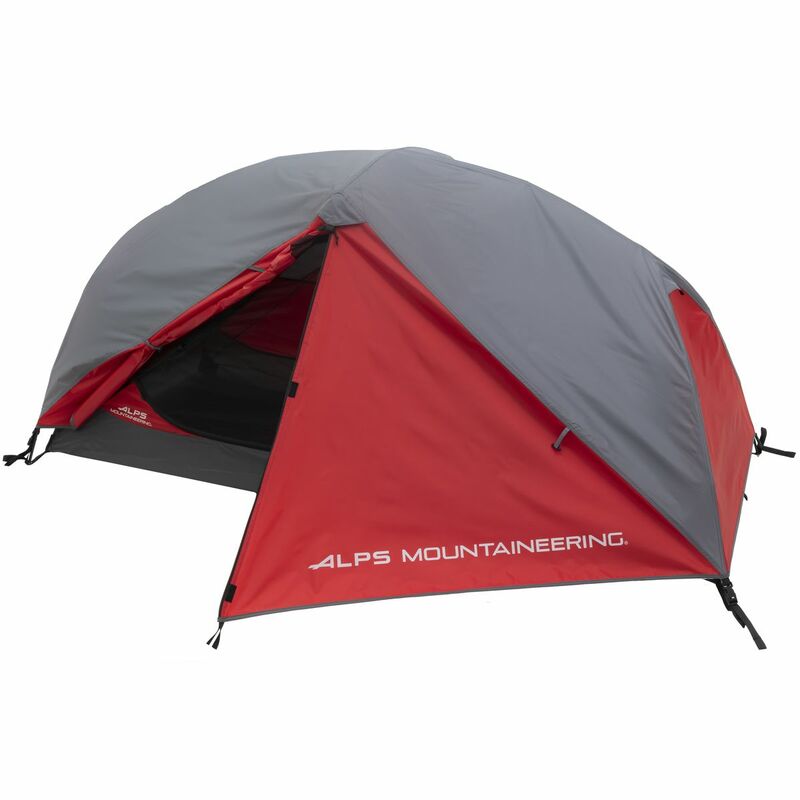 When the storm rolls in, dive into your Alps Mountaineering Extreme 2 Tent for safety. The three-pole design and guy-out vestibules create a super sturdy shelter during high winds, and when the rain starts, you'll thank Steve for the sealed seams and polyurethane coated fly and floor. Who's Steve? We don't know--just some guy. 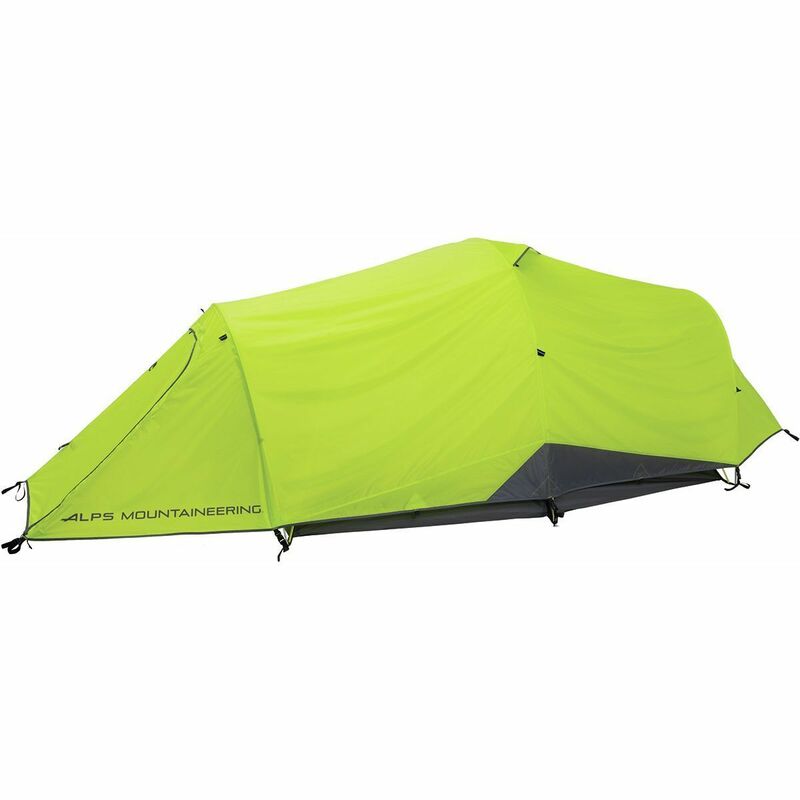 The Extreme Tent features plenty of storage space for your mucky gear and mesh roof vents for star-gazing ease and breathability. Two doors prevent you from being trod upon when your tentmate wakes up in the middle of a dream. Gear loft, stakes, and guy ropes included.